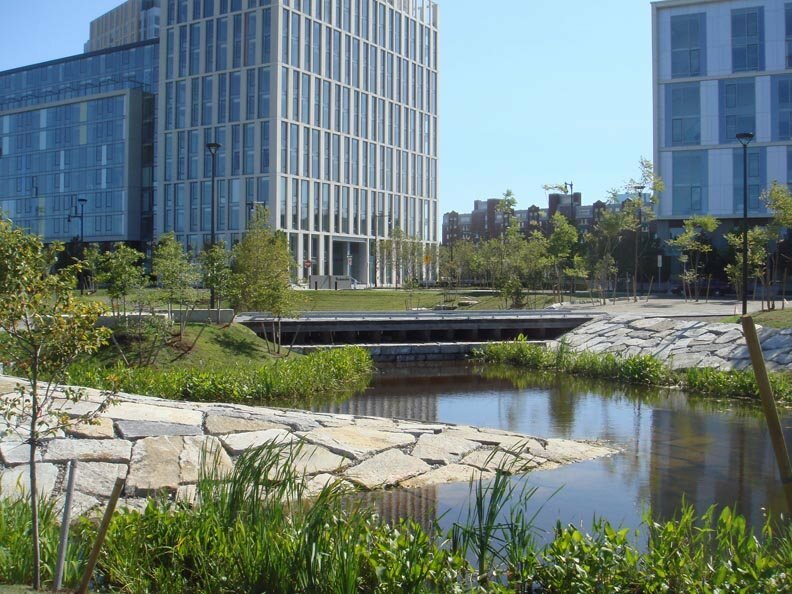 The 45-acre NorthPoint neighborhood ‘smart growth’ development launched in 2008 with an 8-acre Central Park flanked by two residential buildings. Central Park will remain the centerpiece of the development as mixed-use buildings eventually encircle this lively and functional park. Landforms which define the spaces in the park and deepen its narrow profile reuse settling fill. 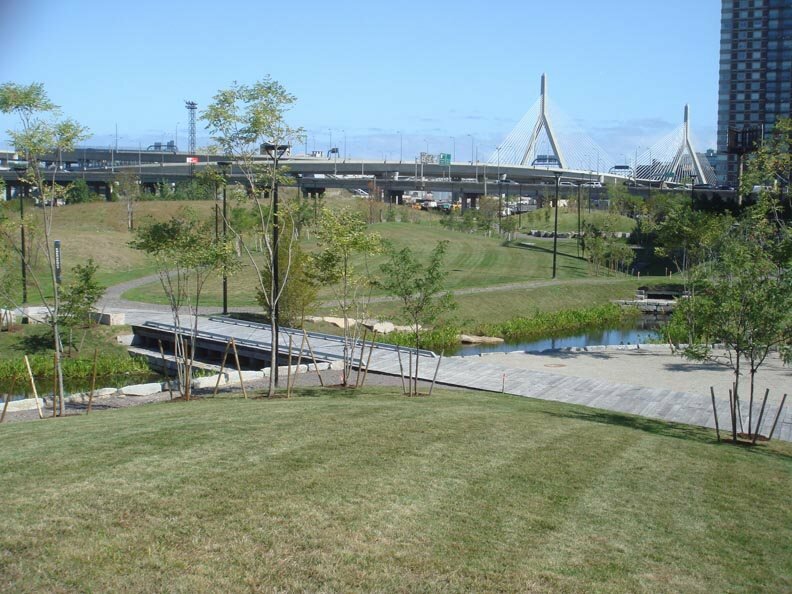 Stormwater from these mounds and from the surrounding development is directed through richly-planted, cleansing wetland water gardens and reused for irrigation. 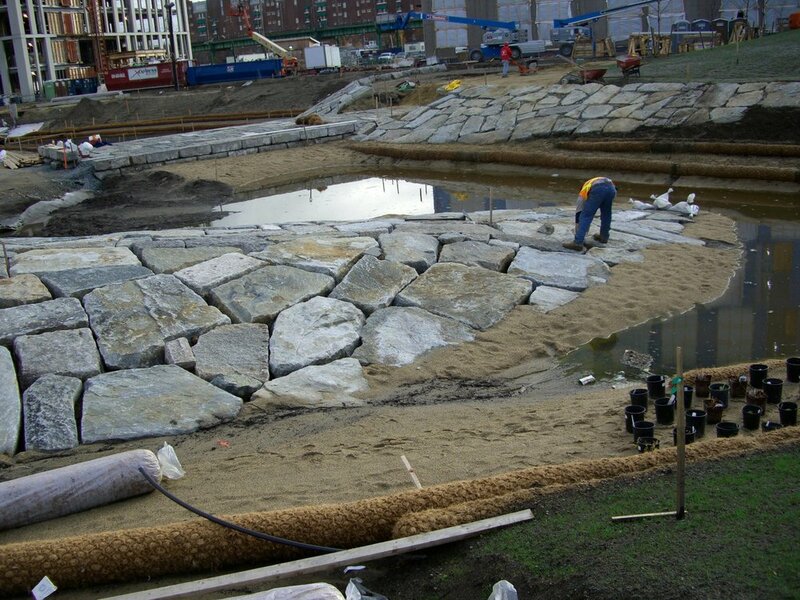 Granite boulders placed throughout the park were found on-site and reused, while a railroad tie boardwalk spanning the water garden recalls the site’s history as a rail yard. Inge Daniels managed this project as Senior Designer at Michael Van Valkenburgh Associates.